We have been working to make people's homes better since 1985. 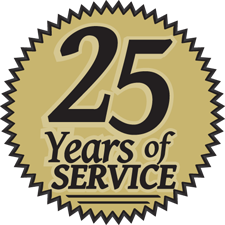 Thank you for the 25 years of business! We also are pleased to launch this new web site. Please contact us if you see any problems or you have any suggestions. Thank you for visiting and sharing our site with others! Please note our web site does not support Internet Explorer 6 and older. Please update your web browser if needed. We suggest Firefox or Safari browsers.